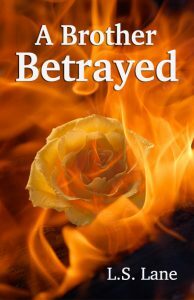 To purchase A Brother Betrayed on Amazon, click here. A powerful page-turner, A Brother Betrayed tells a story of family, trust, and betrayal when the sudden loss of her husband and her resignation from the job she loves leave a mourning and reluctant Katherine Kohler at the helm of the family business. Her daughter blames her for her father’s death, her despised brother-in-law comes to claim the job he insists his dead brother promised him, and she is forced to hire his friend—a man she’s convinced has come with malevolent intent. She fears the business her husband worked twenty-five years to build for his family is in jeopardy, and her fears escalate into reality when a series of vicious attacks confirm her suspicions. Certain she knows who’s behind them, she has no way to prove it before he comes in person to settle accounts with her. 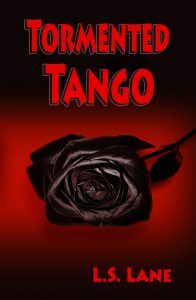 In this fast-paced drama, Tormented Tango draws families together and tears them apart in a number of life-shattering events. Kimberly Larson remembers nothing of the brutal assault that almost ended her life, but her sister identifies Kim’s ex-fiancé Thomas Peyton as the attacker. The verdict at his trial appears to close the matter until two years later, when the DA, former prosecutor, and defense attorney begin receiving email threats. The kidnapping of the district attorney’s children turns the threats into terrifying reality, but no clues, no ransom demand, and no witnesses leave authorities with no place to start looking. The final post from the anonymous e-mailer warns the defense attorney of her former boyfriend’s impending death after the man’s young son had disappeared five years earlier in South America. What do these three attorneys have in common? They all played a part in the Peyton trial.